To navigate the path to communication efficiency, here are the eight most important questions you should ask when evaluating a clinical communications solution. Let’s take a stroll down memory lane and look at the most important historical advancements in electronic clinical communication tools. Hospitals nationwide use TigerConnect to connect their care teams, increase profitability and improve patient outcomes. See how TigerConnect can bridge the gap between electronic health data and safe, efficient, high-quality team-based care to significantly improve their clinical communications. As the heart of the care team, nurses need an integrated communications platform to coordinate the complex process of care delivery. Physicians using TigerConnect can see patients sooner and patients can get home safer. 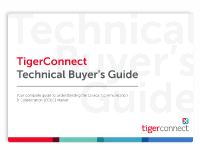 TigerConnect provides a clinical communication platform that improves collaboration, patient care, and profitability. 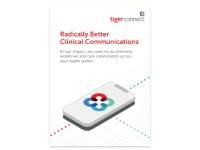 TigerConnect’s secure messaging healthcare solution reduces overhead paging, which in turn leads to higher patient satisfaction and higher HCAHPS scores. TigerConnect’s and HIMSS Analytics conducted a research study on the costs healthcare organizations incur by using pagers. 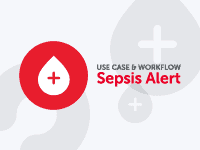 "We have looked at various solutions – it is TigerConnect that best balances user needs with the reporting and administration requirements that a larger organization like Geisinger desires." "The single most powerful electronic tool we use for the care of our patients is TigerConnect." 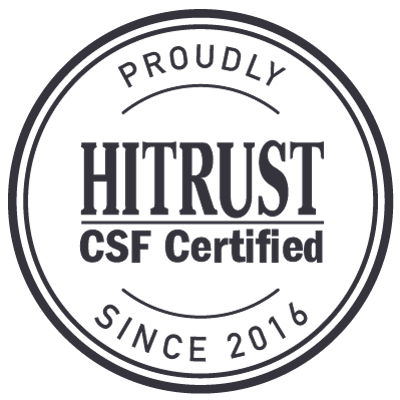 "Our staff loves it – it’s easy to use and we have rapid response from MDs which only improves patient care and satisfaction." "Here at YKHC, we have a lot of patient-centered initiatives going on right now and TigerConnect fits right in.. It allows technology to communicate better with the organization. It facilitates better communication corporate-wide which I think trickles down to the patient. The patient receives care faster, receives more thorough care, more complete care." Get an up-close look at TigerConnect’s secure communication solutions when you request a free, personalized product demo.